Yuneec Breeze itself called as a drone, easy to fly without any experience. One of the critical feature that Yuneec Breeze has a drone camera. This has elements of Drones and additional to some features are missing in Drones also. These small camera drones are pretty easy to carry on back pocket. It has become a travel guide and picnic, camera to capture every beautiful moment of your life. There are number drones in the market, but Yuneec Breeze has a unique style and trending now. 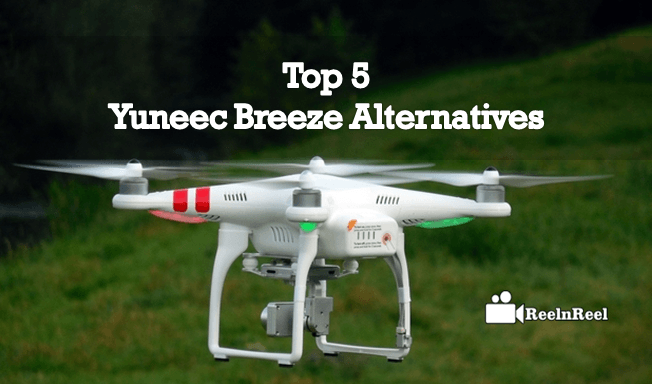 Here We have listed the top 5 Yuneec Breeze alternative. DJI Mavic Pro is a small portable pocket-sized camera Drone. It comes with a kit of 4 Propo, a rechargeable battery and a controller. 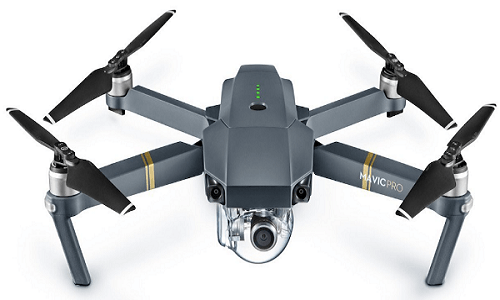 The weight of Mavic Pro is 1.64lbs, 19.8X 8.3X8.3 measurements, 1.23 CMOS sensor camera, 12MP video and image quality, event it can shoot 4K videos. Movic pro has a bundle of features combined together. Three types of tracking modes such as Trace, Spotlight and profile. You can use your phone or a controller to capture selfies, to make it move just raise your arms or wave your arm to start taking videos.It has the maximum speed up to 2.2 mph, it is normal speed, but if you would like to work faster you can control with remote controller. 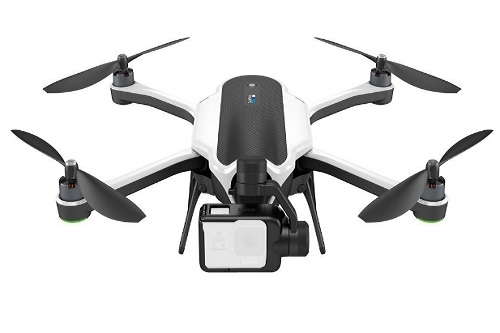 GoPro Karma captures amazing smooth footage on the air, handheld and body-mounted together. Karma comes with foldable propellers and a removable stabiliser. The stabiliser can be fitted and include to karma grip; it looks like professional ultra modern Stabilizers. It takes to shake free video on air and the ground. It works with Hero4 and Hero 5 cameras, sided display, automatic flying features and tutorials for beginners. It has Live view camera feeds and game style controller, touchscreen and it can shoot 4k video with 12 MP photos. The additional features of GoPro Karma are three types of modes selfie, Orbit, Cable cam and one-touch takeoff, landing, up to 20 minutes of flying time. 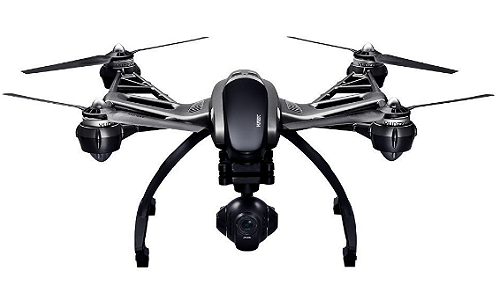 Typhoon Q500 4K is different from the other Yuneec drones, it can capture 4K HD videos and photos built-in 4K navigator. It is a competitor to the DJI Drones. The special features are 12MP photos, 4K ultra 3480 X 1260 resolution; gimbal mounted fixed stabiliser, speed up to 8 mph, ½.3” CMOS sensor and 5.2 – 5.8 GHz transmitted frequency. The kit comes with one, USB cable, HMDI, One rechargeable battery and 22.2-inch diagonal propellers, micro SD card.The flying capacity is high when compared to other. 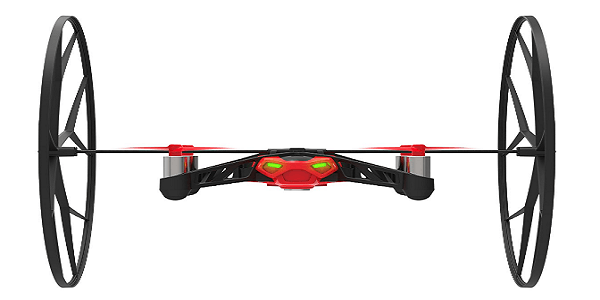 Here also we have three flight modes like Smart, Home and Angles with Automatic flying and come back to the ground. Parrot Rolling Spider is world’s smallest rolling mini-drone. It controlled by a smartphone, the Bluetooth parrot company manufactured. This is mainly designed to operate with smartphones and tablets mainly for indoor and outdoor flying up to 18 Km/h. It can rotate angles like 90, 180, 360-degree aerobatic programs, move up, left, right with double tapping on the centre of the screen. The key features of Parrot Rolling Spider are fitter propellers, removable wheels roll anywhere, circuit breakage when crushed, takes aerial shoots to the sky and on the ground. DJI Phantom 4 is the smallest drone in DJI drones, it captures 4K Ultra HD videos at 30fps, 12 MP photos and it’s f/2.8 lens give crisps and clear images. It had built-in GPS technology, mobile access, auto takeoff and returning to home. It can fly up to 28 minutes on air maximum flight speed is 20m/s. 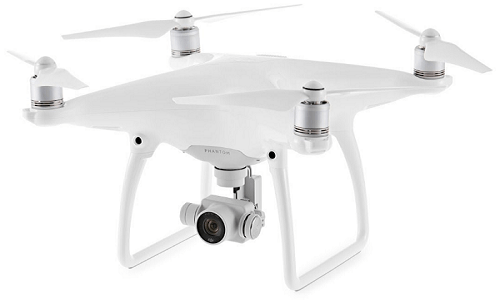 DJI Phantom 4 is manufactured for aerial photography and cinematography purpose. It has light bridge video transmission system, forward, downward vision system, front obstacle avoidance and is an entry-level professional drone. This is an Ultimate Guide to Top 5 Yuneec Breeze alternative. You can select any of these if you’re ready for a Drone for professional and for regular videography. Make use of these guides to compare all these five drones, which one is best for Cinematography.